Shot in sumptuous monochrome Looking for Langston is a lyrical exploration – and recreation – of the private world of poet, social activist, novelist, playwright, and columnist Langston Hughes (1902 – 1967) and his fellow black artists and writers who formed the Harlem Renaissance during the 1920s. Directed by Julien while he was a member of Sankofa Film and Video Collective, and assisted by the film critic and curator Mark Nash, who worked on the original archival and film research, the 1989 film is a landmark in the exploration of artistic expression, the nature of desire and the reciprocity of the gaze, and would become the hallmark of what B. Ruby Rich named New Queer Cinema.Looking for Langston is also regarded as a touchstone for African-American Studies and has been taught widely in North American universities, colleges and art schools for nearly 30 years. The soundtrack to the film features the poetry of Langston Hughes, Bruce Nugent and Essex Hemphill set to blues and jazz as well as 1980s house music and features the voices of Toni Morrison and Stuart Hall. The soundtrack is available in two vinyl editions. Both are pressed to specially mixed blue vinyl, housed in an extreme gloss sleeve, with 12″ insert, while a limited edition of 50 copies will be signed by Julien himself. 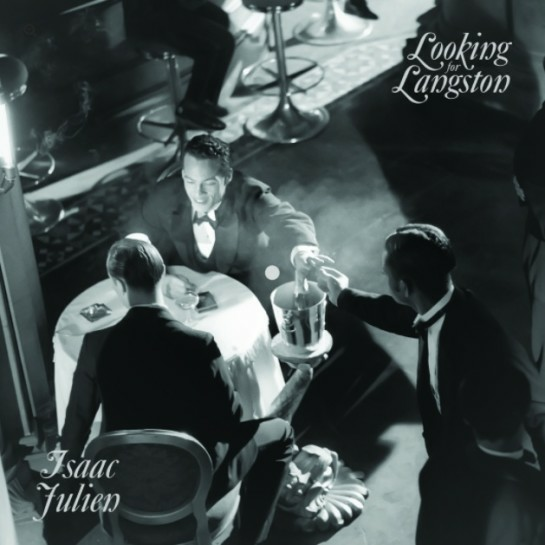 Isaac Julien: “I dream a world” Looking for Langston is at Victoria Miro until 29 July 2017.